This is a Virtual Analog Synthesizer duplicating Analog Synthesizer. 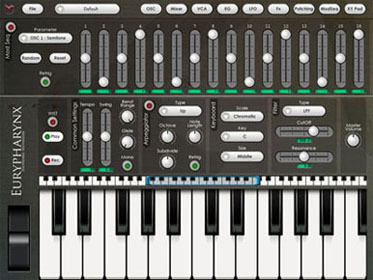 4-Voice Polyphonic Synthesizer. 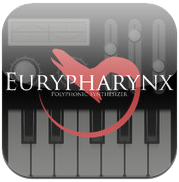 Eurypharynx is a 4-Voice Polyphonic Virtual Analog Synthesizer. Basically it models features after Analog Synthesizer. But more importantly, it combines the following five remarkable features. 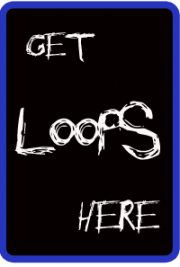 – In each OSC, you can select two waveforms and also morph them. – Flexible patching operation is available with Matrix Patching. – Alter numerous parameters sequentially with Modulation Sequencer. – Intuitive performance is available with XY Pad Control. – It is possible to save up to 256 patches.